Last Sunday's fun Frfuggitivi ride made a welcome stop at Musette Caffe for a delicious cortado. As I waited for my cortado I curiously looked to my left and discovered this beautiful Alcyon bike! What a beauty! 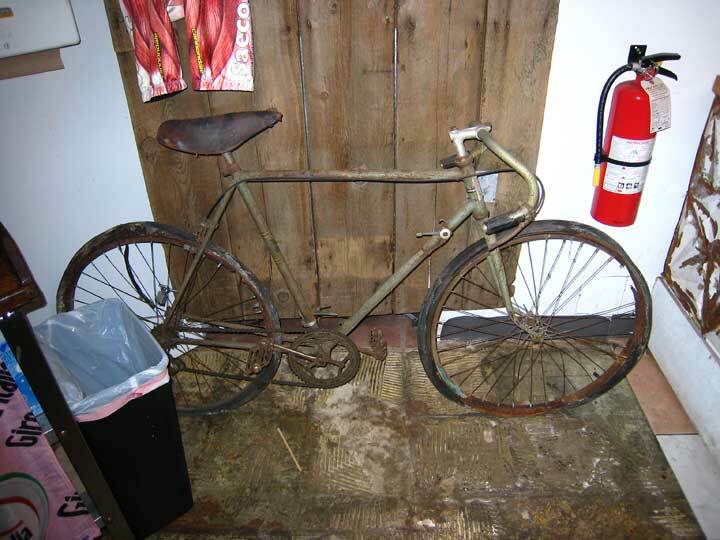 Of course, you must look pass the obvious rust and imagine a sleek racer from the early 1900s. 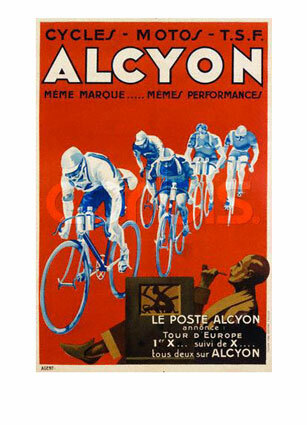 The French Alcyon cycling team was associated with a winning tradition. 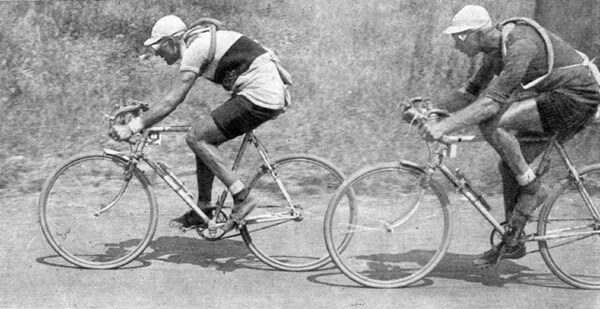 It started in 1906 and spun Tour de France champions; Francois Faber (1909), Octave Lapize (1910), Gustave Garrigou (1911), Odile Defraye (1912), Nicolas Frantz (1927, 1928) and Maurice Ed Waele (1929). I hope Thomas will, one day, re-store it.